April | 2015 | Micro Daily & Protein Daily in ACTION! Tonight’s (April 30th) Salt Lake City / Sandy Engage Global Opportunity Meeting has been canceled. Posted on April 30, 2015 by Micro Daily & Protein Daily in ACTION! The regularly scheduled Thursday Night meeting will be canceled tonight in SLC / Sandy due to an Engage Global Leadership Summit running throughout the day in Provo. We are sorry for the inconvenience this may cause for any of you planning to attend this meeting tonight. Please make note: The May 7th meeting is also canceled due to over booking at the hotel, these issues are beyond our control. We will be combining our meetings on may 6th at the corporate offices in Provo. Normal meetings in SLC will resume again May 14th. Posted on April 29, 2015 by Micro Daily & Protein Daily in ACTION! MMF is proven to combat Oxidative stress! Reactive oxygen species or ROS and free radicals can cause severe damage to the normal cells of the body. This damage can be to the DNA, proteins, and other macromolecules. This damage forms the basis of a wide variety of diseases, most notably heart disease and cancer. There are numerous studies that prove that since these diseases are mediated by oxidative stress and disbalance between pro-oxidant and antioxidant factors, antioxidants may play a pivotal role in preventing or slowing the progression of these conditions. Heart disease is the leading cause of death worldwide. Heart disease risk is raised by several factors including high cholesterol levels, high blood pressure, cigarette smoking, and diabetes. These promote atherosclerosis. Atherosclerosis refers to formation of hardened walls of the arteries that impairs blood flow to the heart and other vital organs. It is speculated that a critical step in development of atherosclerosis is oxidation of low-density lipoprotein (LDL) (a type of bad cholesterol in blood) within the arterial wall. Several studies show an association between low intakes of dietary antioxidants to an increased frequency of heart disease. Cancer kills millions worldwide. Diet may be the cause for cancer in as much as 35% of all human cancers. Low antioxidant intake in diet may also be responsible. Low dietary intake of fruits and vegetables doubles the risk of most types of cancers. Pro-oxidants, or those who generate free radicals, stimulate cell division and these form the beginnings of mutagenesis and tumor formation. When a cell with a damaged DNA strand divides, it gives rise to disturbed and deformed clusters of cells that form the cancer. In addition, cigarette smoking and chronic inflammation lead to strong free radical generation that seems to be the reason for many cancers. Some research has indicated that people who smoke tend to have lower antioxidant levels than non-smokers and this makes smokers more at risk of cancers. The respiratory system is a well known target for free radical insult. This comes from endogenous factors as well as exposure to air pollutants and toxins, cigarette smoke etc. Recent studies suggest that free radicals may be involved in the development of pulmonary disorders such as asthma. Antioxidants have been seen to reduce the development of asthmatic symptoms. Vitamin C, vitamin E, and beta carotene supplementation has been associated with improved lung function. Free radicals can also damage nerves and the brain. Neural tissue may be particularly susceptible to oxidative damage. This is because the brain receives a disproportionately large percentage of oxygen and has large amounts of polyunsaturated fatty acids which are highly prone to oxidation and oxidative damage. Formation of cataracts is believed to involve damage to lens protein by free radicals. This leads to opacity of the lens. Cataract formation may be slowed with the regular consumption of supplemental antioxidants like vitamin E, vitamin C, and the carotenoids. Other diseases like Diabetes, Rheumatoid arthritis etc. are also associated with low antioxidant levels in blood. Due to Dr. Milton Carroll’s schedule the following conference call tonight will be canceled. Sorry for the inconvenience, calls will resume next week as usual. 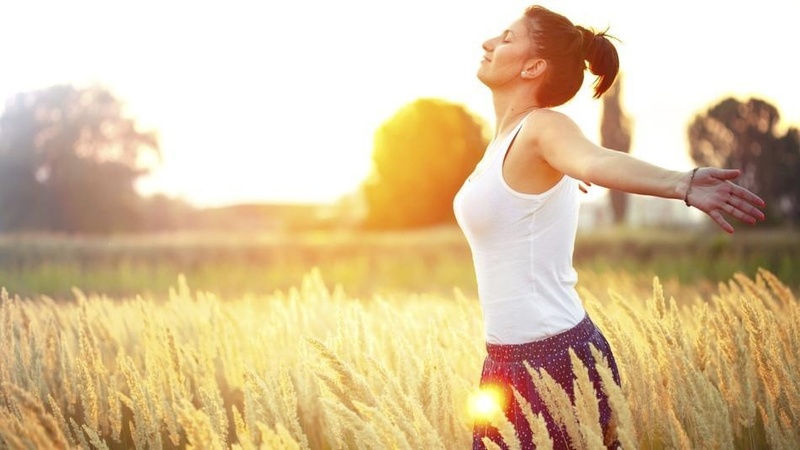 Many of us, me included, have thought of ways to improve our health in this New Year. Perhaps you have kicked off a new fitness regime or have started a new diet plan. As we begin the journey to better health, I want to bring attention to a molecule called glutathione and its implications for health and human performance. Glutathione is one of the most powerful antioxidants responsible for maintaining cellular health. It is found in all cells, but is highly concentrated in the brain and liver. Glutathione is a chief biomarker of cellular redox status (electron allocation), meaning it can accept electrons from free radical species. Less glutathione increases the cell’s vulnerability to oxidative damage, and consequently increases the risk for disease.1 It is good that our body naturally produces glutathione , however many have less than optimal glutathione levels due to stress, infection (HIV and Hepatitis C), poor diet, lack of sleep, and exposure to toxins and xenobiotics (statins, hormonal contraceptives, analgesics). Deficiencies in glutathione leave the body vulnerable to toxins and inflammation—making the body weak and robbing one of high performance. Worst of all, low glutathione levels are linked to diseases including: autism1, atherosclerosis, coronary artery disease2, Alzheimer’s disease3, Crohn’s disease4, leukemia5, inflammatory bowel disease6, celiac disease7, osteoarthritis8 and chronic fatigue syndrome9. Glutathione has many other responsibilities in addition to antioxidant function, including metabolism and cellular regulation, which will not be included here. For comprehensive reviews see sources 12 and 13. So how do we optimize our glutathione levels? The most obvious way to increase glutathione is through direct supplementation. However taking an oral supplement is ineffective, as it denatures in the stomach before it has pharmacological effects. Intravenous glutathione is an option, however I would consult your physician before taking further action. Another option for direct supplementation is liposomal glutathione, that is, glutathione encapsulated in tiny fat cells. I have no idea if this actually works, but I am willing to give it a try. A German study demonstrated increased glutathione levels and related biomarkers in the blood of swimmers who swam at least once per week in ice-cold water for 5-10 minutes. I plan on testing this in the future. Glutathione is synthesized from its precursor amino acids cysteine, glutamic acid, and glycine and undenatured whey has these glutathione precursors. I supplement Proserum Grass-Fed Whey Protein Concentrate as it is the cleanest sourced protein I could find on the market. Also, I stir my protein into solution using warm water. I do not blend as doing so breaks-up the protein reducing its quality. Cysteine is the limiting amino acid in glutathione synthesis, thus increasing its precursor stimulates cysteine uptake by the cells and increases intracellular glutathione production.12 N-acetylcysteine is a stable and effective source to supplement glutathione synthesis.11 I have started supplementing 200mg daily with lunch. Doing so gives the body another way to produce cysteine for glutathione production, as this antioxidant reduces the amino acid cystine to cysteine.17 In the past I have taken 200mg supplements with lunch. Dietary selenium supports glutathione peroxidase which is an important enzyme for recycling glutathione.17A dietary deficiency of selenium has been shown to decrease tissue glutathione peroxidase activity by 90% leading to peroxidative damage and mitochondrial dysfunction.11 One can increase their selenium by simply supplementing 100mcg with a meal (I haven’t taken this supplement before so I cannot speak to its effects) or eat foods rich in selenium such as grass-fed beef and wild-caught oysters. A deficiency in dietary magnesium reduces glutathione reductase, another enzyme responsible for recycling glutathione. Magnesium is a cofactor for two pentose-cycle enzymes that catalyze the production of Nicotinamide adenine dinucleotide phosphate (NADPH) and its oxidized form NADP+. 12 The oxidation NADPH gives a proton to glutathione reductase so it can help recycle glutathione. In short, magnesium facilitates the recycling of glutathione. Supplement 600 to 800mg per day of magnesium malate, citrate, or aspartate, but be careful as too much can lead to diarrhea. The best time to take magnesium is in the evening since it confers relaxing effects. Mineral elements like sulfur are available to us exclusively through dietary protein, yet only 2 of the 20 amino acids normally present in protein contain sulfur, and these include cysteine and methionine. Proteins contain between 3 and 6% sulfur amino acids and as stated earlier, cysteine is the limiting amino acid in glutathione synthesis and methionine facilitates cysteine production, neither of which are stored in the body.18 Thus we can increase our glutathione supply by eating food rich with these proteins. These include grass-fed beef, pork, lamb, or chicken. Wild caught and low mercury sea food is another good choice— salmon, king crab, and shrimp to name a few. Other sources include: soft-boiled eggs (so the protein and fats don’t go rancid from overheating), onions, garlic, broccoli, and red pepper. Glutathione is one of the most powerful antioxidants that can improve our health and performance by helping our bodies run better, giving us more energy, decreasing inflammation from oxidative stress, and ultimately reducing our risk for disease. MMF is proven to help the body increase its glutathione levels. 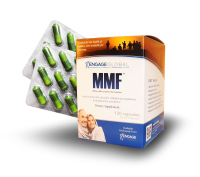 MMF is the most powerful antioxidant supplement available. Patented. Proven. Join us tomorrow night at Engage Global head quarters for our weekly Wednesday night opportunity meeting!